Combining components to form complex targets is a key aspect of target fabrication. Scitech Precision Ltd has a team that have over 30 years of experience in understanding the scaling problems that are inherent in working with sub-mm sizes components. We can advise on the best route to production, minimising time and cost where appropriate. With dedicated micro-machining facilities, characterisation suites, assembly laboratories and a target development laboratory plus extensive capabilities for MEMS based manufacture Scitech Precision is uniquely suited to deliver your target needs. Our products include multi-layer thin foil targets, microdots arrays, cones and shells, foam targets, filters, hohlraums, micro-wire backlighters, pinhole arrays phase plates and anti-reflection coatings. 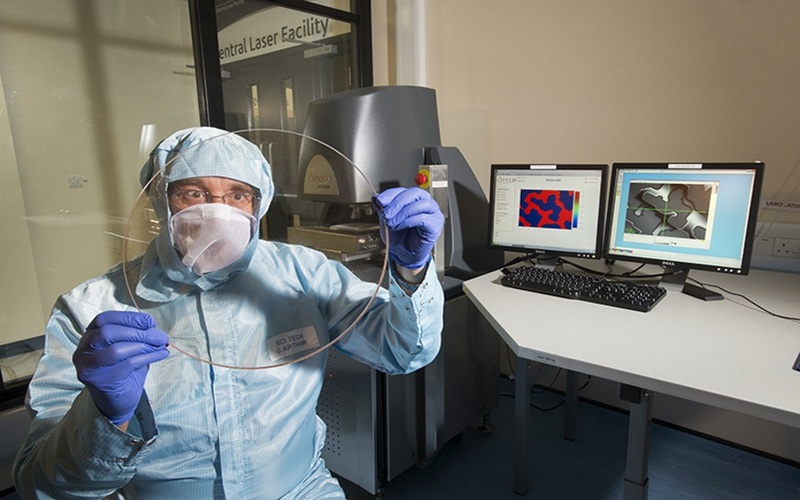 As well as a laser micromachining facility for in-house target production and commercial laser processing. We know that time on facilities is expensive and limited, we will deliver the highest quality targets to ensure that you can investigate the desired parameters without the need to compromise on target specifications or design. Our scientific team will work with you to develop targets to fulfill the most complex of experimental demands and are highly skilled at interpreting requirements and delivering successful engineering solutions. Cones, spheres, hohlraums, mass-limited targets and backlighter assemblies are a few examples of the more complex 3D components. 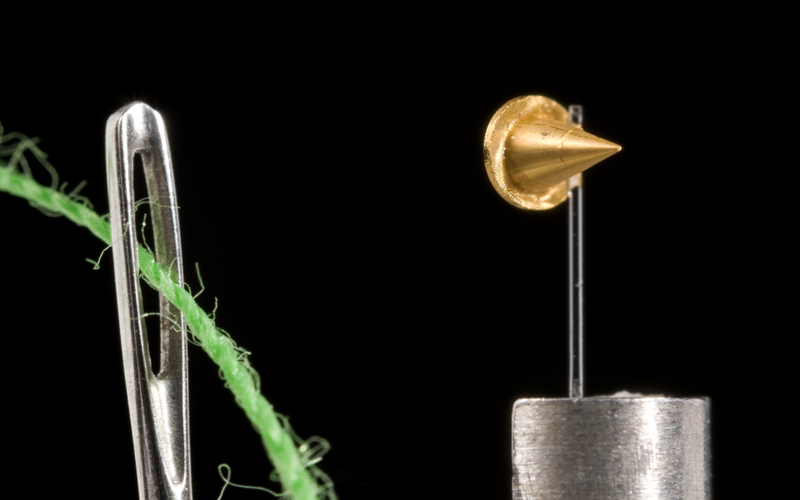 MEMS-based fabrication processes can also be used to fabricate complex geometries in volume. Foils can be produced as complex multi-layered, multi-material structures and can include embedded dots in metal or plastic. Additionally, standard foils, filters and pinholes can be supplied. What would seem a relatively simple task of adhering a small square of foil to a fibre is a complex and challenging activity. We will work with you to develop the best mounting geometry for your experiment. All targets can be characterised to a high level using the latest high specification metrology tools. The team have extensive experience in producing these laser targets and ancillary items based on an understanding of the type of experiment that is due to take place. 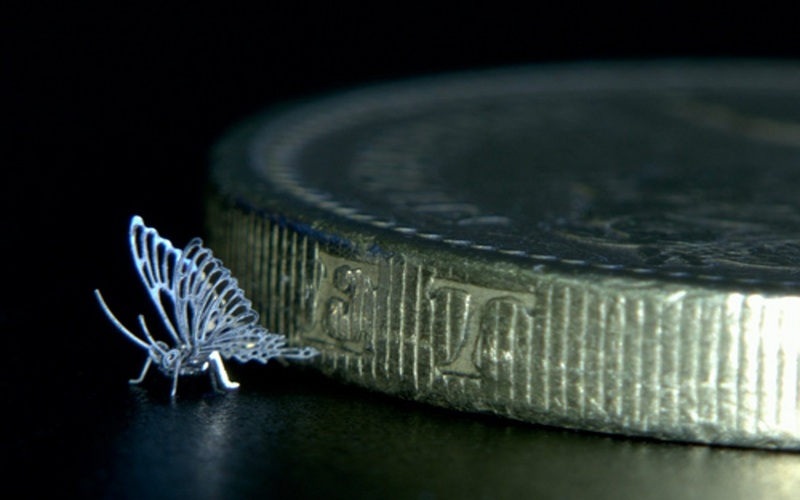 Scitech Precision Ltd offers a large range of laser processes including micromachining of a wide variety of materials. We have processed metals, polymers, ceramics, composites, PEEK, Carbon foams, Silicon and optical materials. We are also able to offer the laser cleaning of delicate components (such as optical vacuum chamber windows) and laser removal of layers as thin as a few nanometres from component surfaces. We are uniquely placed to offer proof of concept and low volume manufacture solutions enabled by high speed scanners and stages. From the profiling of specialist flexible printed circuit boards to the machining of a 10 micron well in single crystal diamond or the manufacture of electrical probes much finer than a human hair we are happy to use our range of lasers to meet any challenges. Anti-reflection (AR) coatings are applied to optics to reduce the loss of transmitted energy and to eliminate unwanted, potentially harmful, back-reflections. These coatings can be applied to phase plates as well as plain windows and lenses in the beam path and are produced in two varieties: (1) a Teflon-based technology, which is vacuum compatible, or (2) a colloidal silica variant which is suitable for atmospheric use. Optics can be up to 300 mm in diameter and optical coatings are suitable for wavelengths from 200 nm to 1900 nm. Let us advise on your science or laser machining needs. We offer bespoke targets, consultation on science experiments, and production excellence.